Full Detailed Documented Service History 17 Inch Graphite Grey Alloy Wheels, Red Brake Callipers, Panoramic Glass Roof, Rear Spoiler, Side Sills, Interior Sports Trim, Leather Multifunction Steering Wheel, Branded Floor Mats, Cruise Control, Dual Climate Control, Automatic Lights & Wipers, Power Folding Door Mirrors, Radio, CD and Power Folding Mirrors. Searching for a second-hand Honda vehicle in the Warrington area? CC Cars Limited stocks a large collection of autos from this successful manufacturer in exceptional condition, which are all here on our website. Honda has proven itself a manufacturer of immensely practical motors. The spacious CR-V offers substance and style, while the compact Jazz is perfect for driving through urban areas. 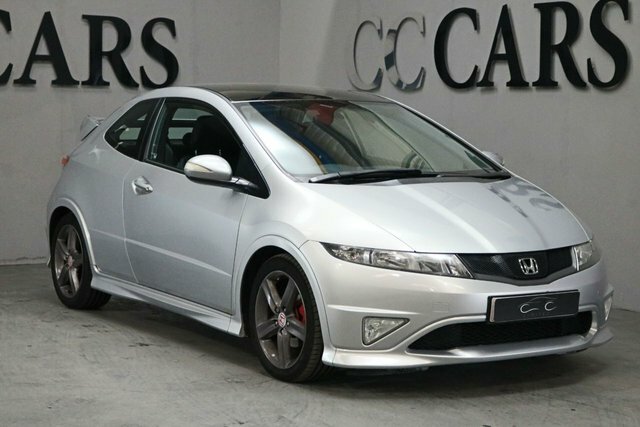 You are sure to find a Honda for you, and there is nowhere better to purchase it than CC Cars Limited. Customer satisfaction is our highest priority. For more information regarding our products and services, contact us via our website or pay CC Cars Limited a visit in person; our site is based just a short drive from Warrington.